This very pretty 14k white gold diamond engagement ring is set with a total of 9 diamonds. 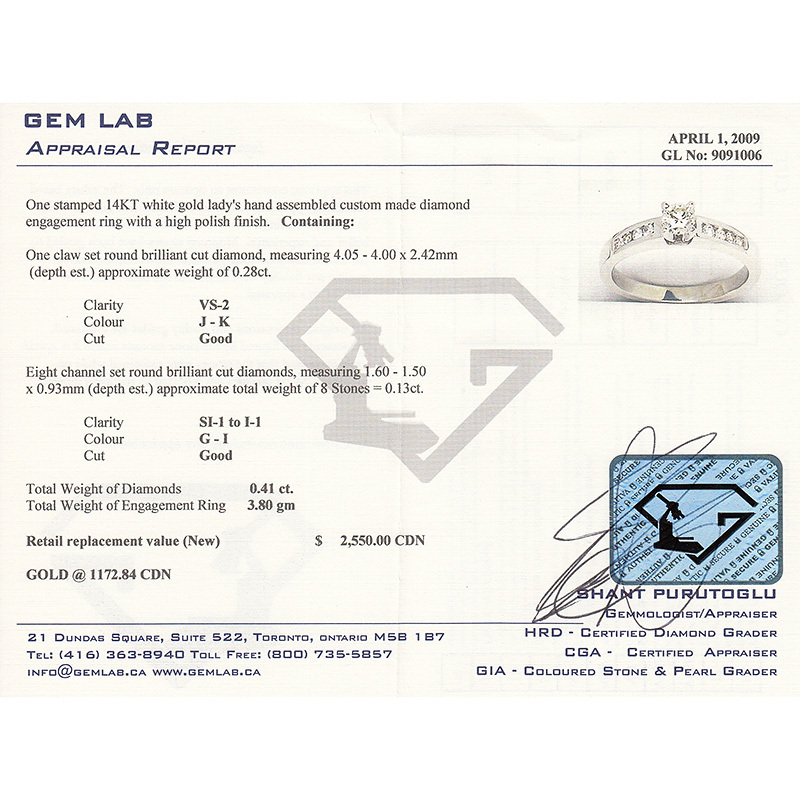 The centre brilliant-cut diamond has a weight of 0.28ct and a total diamond weight of 0.41ct and an overall ring-weight of 3.80 grams. 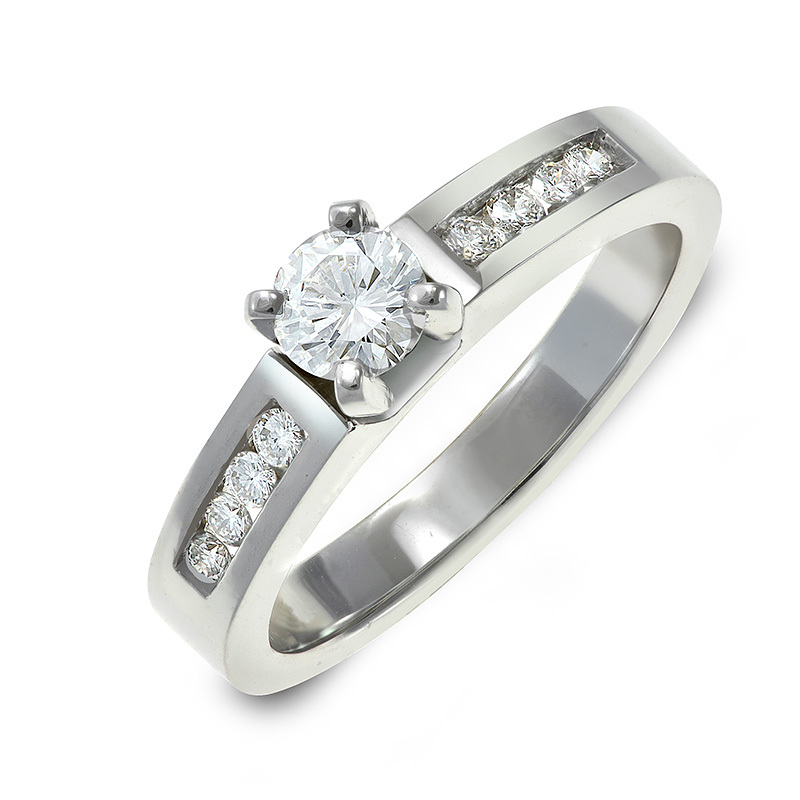 This gorgeous ring will leave a smile on your lovely lady which will last through the years.